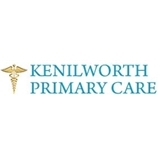 Kenilworth Primary Care (Kenilworth) - Book Appointment Online! Our mission is to provide timely medical care and customer service in a collaborative, state-of-the-art environment that is warm, friendly, cheerful and affordable. Always a pleasure seen Dr Jeeredy, she’s very pleasant, easy to talk to and she listens and explains things. Very nice..